The industry of leather, wool or fur production is an industry of blood. OK, maybe wool keeps humans warm, leather lasts long and fur is absolutely in fashion- but the animals behind suffer very often. We are not about telling you what you should wear; neither to insist that you should be vegetarian or vegan, but what is important is to ask yourself: Where do my accessories come from? Under which conditions it has been produced? Same for food, cosmetics, clothes etc. By using no animal origin products we can assure to be cruelty free and to assure not having doubts where the products come from. Of course there are leather using companies controlling at their very best where the material origins and the way it takes, but to assure that no animal gets harmed is impossible. RTfact founders are living happily with cat and dog and as our pets are happy, we do not want to be responsible for the way other animal are treated only to give us raw materials. 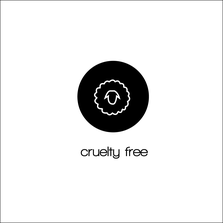 We are proud that all our designs and products are cruelty & animal free !